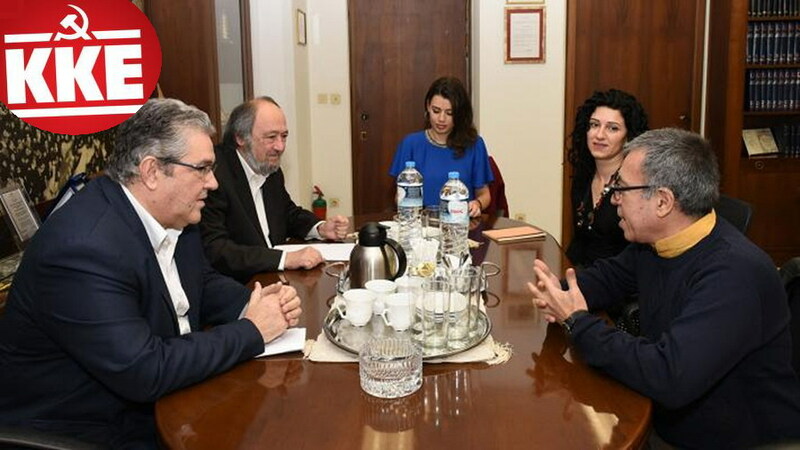 The General Secretary of the CC of the Communist Party of Greece (KKE) Dimitris Koutsoumbas met earlier today with the charge d'affaires of Venezuela's embassy in Athens Freddy Jesús Fernández Torres at the Party's headquarters. According to 902 portal, the main issue of the discussion was the development in Venezuela and the US-backed coup attempt. From his side, Dimitris Koutsoumbas denounced the coup orchestrated by the United States and other Latin American governments, as well as the intervention by the EU and European states. The KKE leader pointed out that the Party condemns the interventions and pressure of imperialist countries and organizations against Venezuela, stressing that the legitimate, elected president of the country is Nicolas Maduro. 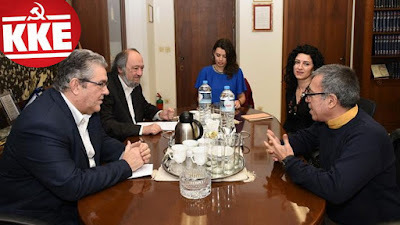 Koutsoumbas reaffirmed the solidarity of Greek communists towards the Venezuelan people who experience capitalist exploitation and crisis and who are the only ones who have the right to determine their own fate. The KKE demands from the Greek government to take a clear stance on the issue, to recognize the elected president Nicolas Maduro and to reject the plans for the imposition by the imperialists of a "transitional president"-puppet. The leader of the Communist Party also underlined that Tsipras' government must, clearly and straightforwardly, denounce the intervention of the USA and EU in Venezuela. It must be noted that, from the very beginning of the US-backed coup attempt, the Communist Party of Greece had publicly expressed its full solidarity and support to the government and the people of Venezuela.